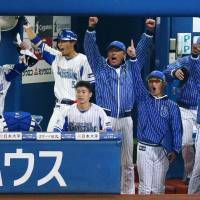 YOKOHAMA - Rookie pitcher Haruhiro Hamaguchi took the ball in what might have been the biggest game of his life and delivered the performance of his life. Because of that, the Yokohama BayStars are still alive in the Japan Series. 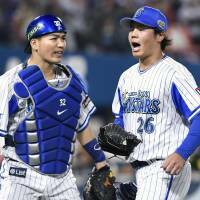 Hamaguchi no-hit one of Japan’s top offenses for 7⅓ innings, Toshiro Miyazaki and Shuto Takajo homered and the BayStars got on the board in the Japan Series with a 6-0 win over the Fukuoka SoftBank Hawks on Wednesday night in front of a crowd of 27,162 at Yokohama Stadium. The BayStars trail 3-1 in the series and still face an uphill climb against the Pacific League champions. They’ll get the chance to try and rally, starting on Thursday night at home in Game 5, largely because of the performance by their 22-year-old rookie left hander. 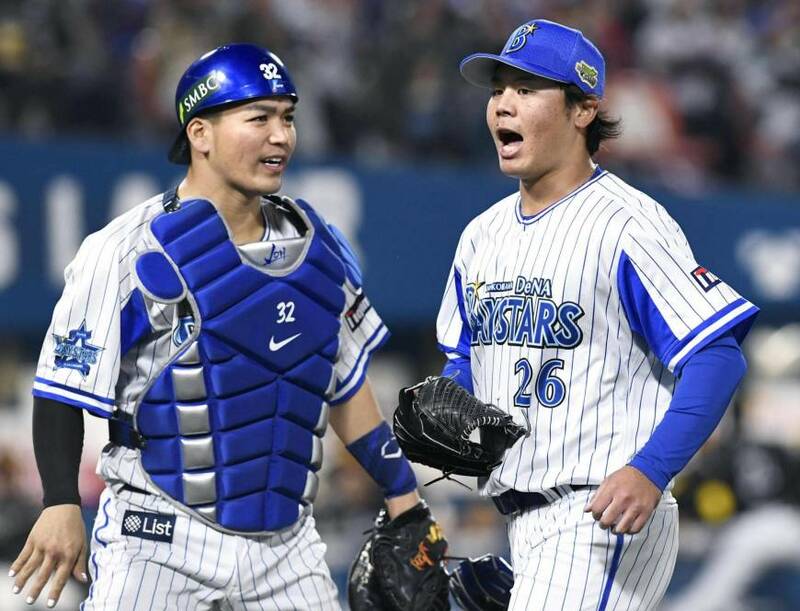 Hamaguchi featured a sterling changeup and got a couple of nice plays from his fielders in a dominant 119-pitch outing with the BayStars’ season on the line. He struck out seven, walked two and hit a batter over 7 2/3 innings in the win. Miyazaki hit a solo homer in the fifth and Toshihiko Kuramoto drove in another run with a sacrifice fly to provide Hamaguchi with some support. BayStars catcher Takajo homered for his pitcher in the seventh to make it 3-0. Yokohama added three runs in the eighth on an RBI single by Miyazaki and a two-run single by Takajo. “Hamaguchi was working so hard, so we wanted to give him some runs,” Miyazaki said. “That’s the mindset I had when I stepped up to the plate,” he added referring to his home run. Hamaguchi matched former Hiroshima Carp pitcher Shinji Sasaoka (in 1991) and former Hanshin Tigers star Minoru Murayama (1962) for the second-most no-hit innings in a Japan Series game. Daisuke Yamai holds the record with eight perfect innings for the Chunichi Dragons in 2007. “I’ve never seen it before, even from when I was player,” Ramirez said when asked if he remembered a similar performance by such a young player on this stage. “But I’m not surprised about what he has done today. He has been pitching great. In the CS (Climax Series) and now, he did a tremendous job. 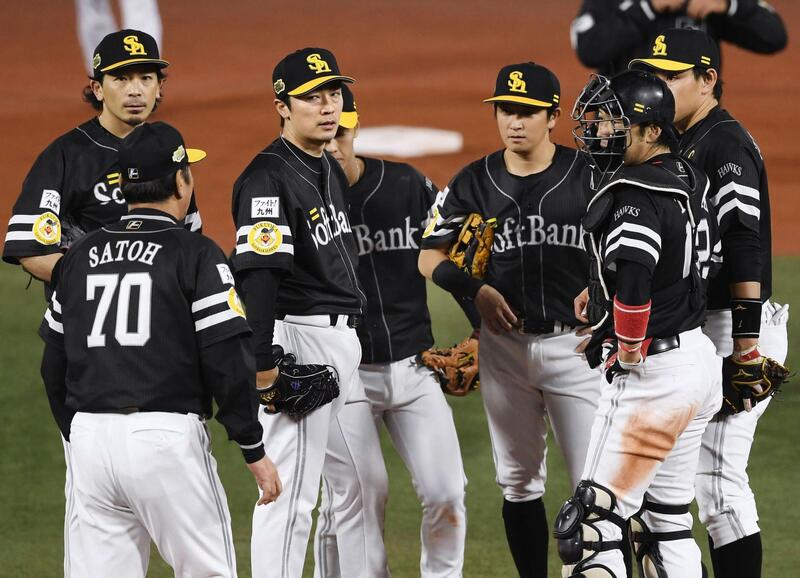 Hamaguchi allowed his first baserunner via a walk in the first inning but didn’t give up a hit until Shinya Tsuruoka’s pinch-hit double in the eighth. The rookie left to a standing ovation when he was lifted after allowing a second hit in the eighth. Takajo had the best seat in the house for the rookie hurler’s performance. Hamguchi’s slider also came into play. “We were able to get strikes with his outside slider and that helped,” Takajo said. “For the most part, Pacific League batters are great at hitting fastballs, so we needed to use some off-speed pitches. 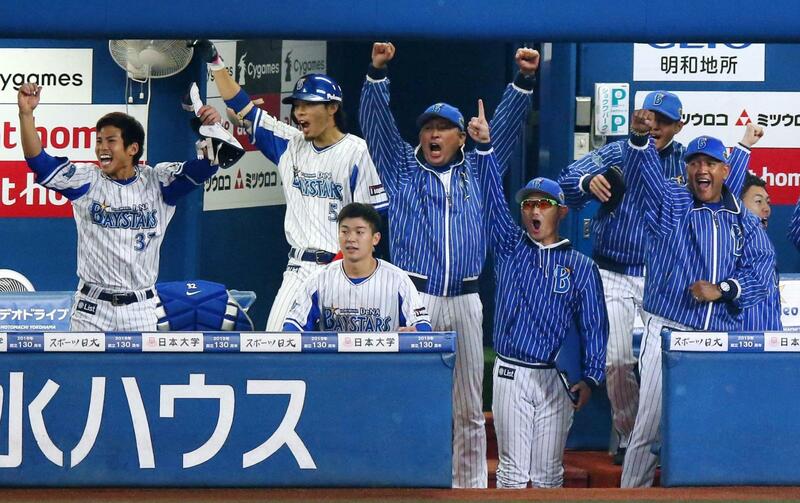 Another positive for the BayStars was a good night by leadoff man Masayuki Kuwahara, who Ramirez said would be the team’s “key man” before the series. After going hitless in the first three games, Kuwahara finished 2-for-3 and drew a walk on Wednesday. 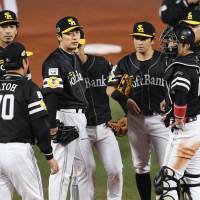 Hawks starter Tsuyoshi Wada was charged with the loss after allowing a pair of runs on five hits in five innings. Wada struck out five and walked one batter. Yuki Yanagita had the team’s only other hit, an infield single in the eighth. Their highlight of the night came in the fourth inning, when Jose Lopez hit a foul ball toward the excite seats, which is just out into foul territory, in left. Hawks shortstop Kenta Imamiya gave chase and made a jumping backhanded grab before flipping backward over the short wall and into the seats. He stayed in the game after being checked out by the trainers. Despite his team’s performance, Ramirez isn’t ready to say the BayStars have figured out the Hawks just yet.